ROBERT DUBIL is a former Director of Risk Analytics in the Corporate Risk Management Group at Merrill Lynch (1999-2001), head of Exotic Fixed Income Derivatives Trading at UBS (1996-99) and Chase Manhattan (1994-95), an equity and debt derivatives trader at Merrill Lynch (1992-94), and a quantitative researcher at Nomura (1990-92) and JP Morgan (1989-90). He worked in New York, London, Tokyo, Hong Kong and Sydney. He holds a PhD and MBA from University of Connecticut, and an MA from Wharton. His recent articles covering liquidity risks and banking regulation can be found in the Journal of Applied Finance, Financial Services Review, Journal of Entrepreneurial Finance and Business Ventures, Journal of Wealth Management and the Journal of Investing. He is currently Associate Professor of Finance at San Jose State University in California. 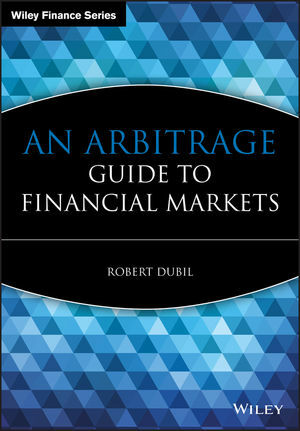 The first book that truly explains how real deals are made in modern capital market operations. All concepts are explained using detailed numerical examples of real finance transactions. Explains why most institutions rely on the interaction of dealers on large trading floors to take advantage of inter-market arbitrages. Written by a highly experienced practitioner.